Welcome to September, y'all! There's so many people out there that are so excited that Starbucks has brought back Pumpkin Spice. I might be kicked out of the blogger network for saying this, but I'm not about the pumpkin spice life. I don't even like coffee. However, I LOVE salted caramel hot chocolate from Starbucks, so I'm excited to be able to leave for work a little early tomorrow and pick up a vent on my way in for my shift tomorrow. 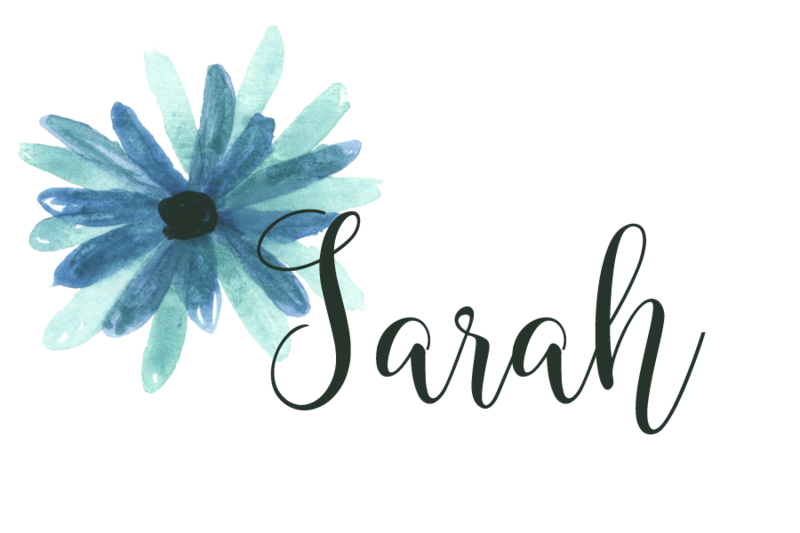 It's officially the first Friday of September today, which means it's time for my monthly roundup of favorites. I also have two fails for this month. Coincidentally, they're both phone cases. Actually, it's not that coincidental. I lasted about a month with my Android phone before going back to my iPhone, but in that month I somehow managed to lose my Otterbox case. I thought I'd use that opportunity to try out some new cases, but the first two I tried just did not do it for me! Anyway, on to the favorites!! 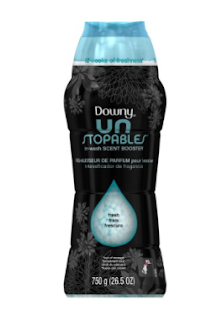 ONE :: Re-introducing the random, off-the-wall favorites, I'm addicted to the scent of these Fresh scented Downy Unstopables. They really do keep my clothes smelling fresh forever, and you don't need to add a ton. I like that they're also okay to use in my HE washer. The kids are weirdly in love with the way they smell, too. I took a load of laundry out of the dryer the other day and tossed it on the couch to fold. I turned around to make lunch, and when I turned back Baby Girl had her face smashed in the laundry because it "smelled so yummy". Hey, who am I to judge? TWO :: I hit the big three-oh back on the 11th of August - post coming on that soon! - and part of that milestone was a revamping of my skincare regimen, or lack thereof. One of the things I struggle with most is excessive hyper-pigmentation. 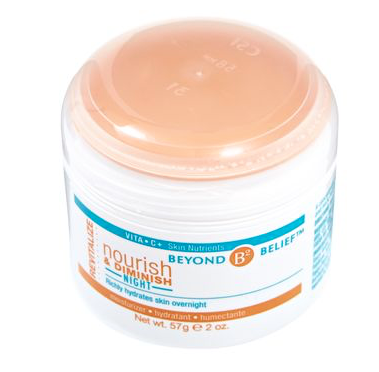 I get dark red spots left behind from the awesome adult acne I (still) have, and this Beyond Belief Vita C+ Night Moisturizer is really helping. It's fading the dark spots, and making sure I'm using a moisturizer regularly really is decreasing some of the excess oil production that I also struggle with! So woo-hoo for a win-win!! THREE :: I got Deputy Dad and I a set of RTIC tumblers back around Father's Day. He got the 30 ounce tumbler, and I got myself the 20 ounce tumbler with the spill-proof lid. Yeti cups are super popular in our region of the country, but I just couldn't bring myself to spend $40 on a cup. 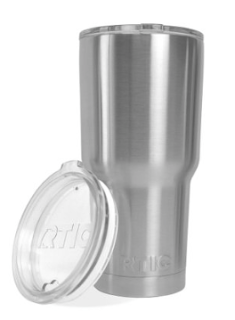 I did a ton of research, and the RTIC cups perform just as well for less than 1/2 the price. Since Deputy Dad spends 12 hours a day driving around in a hot car, the idea of him having a cup that keeps ice all day was an amazing concept. Spoiler alert: they really do work. I love my cup. We have an entire cabinet shelf full of water bottles that never get used anymore, since all we use now are our RTIC tumblers. Two thumbs up. Fine holiday fun. Anyone who can tell me what movie that last part comes from is automatically my new best friend. FOUR :: During the summer, I live in flip-flops. 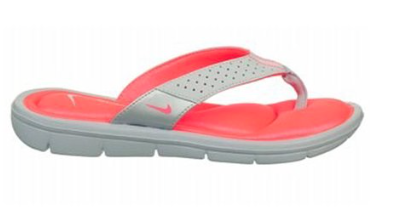 For the past five or so years, I've basically bought about a dozen pairs of inexpensive SO® flip-flops from Kohl's. But then I had that knee injury in April. That was the third time in my life I've dislocated that knee, but that time it stayed out of place for over an hour. It was the most excruciating pain I've ever felt in my life, and I'm doing everything I can to make sure I never have to deal with it again. My orthopedist said that cheap foam shoes that offered no structure and support weren't going to make things any better - can you believe it?!?! I wasn't ready to commit to a full-time life living in orthopedic shoes, so I invested in these Nike flip-flops. I got this grey and hot pink version, and if I had to do it all over again I would get all black because my pink section is basically black now, but other than that I'm in love. These shoes are so comfortable and the extra support makes being on my feet for long periods a lot more tolerable without having to constantly wear tennis shoes in 90+ degree heat. I'll probably get the all-black design next year! FIVE :: This Canon 50mm f/1.8 STM lens is basically my favorite lens of life. The wide aperture allows me to get tons of light, and also allows for that awesome blurred background bokeh effect that I love. This lens is commonly referred to as the "nifty fifty". How can you not love something that's called nifty?!? Plus, it's lightweight. It's inexpensive, which means it's a great lens to add to a starter kit. It is a fixed focal length lens, which means that you have to manually zoom in and out on objects. Don't know how to manually zoom in and out? It means you have to move your feet!! ;) But it's seriously an amazing lens. 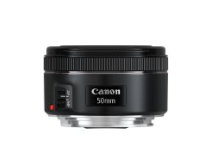 If you have an option to get this lens over the kit lens that comes with most DSLR cameras (the 18-55mm zoom lens) I would recommend the 50mm instead any day. I just feel like you can do so much more with it, and there are so many more ways for you to be creative and really explore the camera settings. I'm kind of sad that I have fails this month. And a disclaimer with these fails. It doesn't mean that you won't like them - just that I didn't!!!! Fail One :: I wanted to love this case. Really, really wanted to love it. I mean, look how pretty it is! The top is an iridescent white, and the bottom is a metallic rose gold. My phone is rose gold, but since I have it in a case at all times, I rarely get to show that part off, so I thought the rose gold would be an exceptionally nice touch. 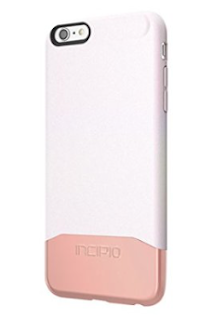 Way back in 2010 or so, my first touch screen smart phone was a Samsung Mesmerize i500, and I got a hot pink Incipio slider case like this to go on it. That case was a dream. Super sturdy, with a flocked inner lining for additional cushion to keep the phone protected. I couldn't have asked for a better case. A lot has changed in 6 years. This case was a piece of junk. It is super cheap, flimsy plastic with no additional inner lining like my old one had. It seriously offered no additional protection for the phone. I never dropped my phone while it was in this case, and I was looking at it one day and there was a huge chunk of plastic missing out of the side. The metallic section also scratched really easily. Then, my phone fell the 18" or so off of my bed and the case cracked in 4 places. Right now this is selling for about $22 on Amazon. I wouldn't even pay $3 for it. I should have read the reviews closer. Absolutely wouldn't recommend. Fail Two :: Also a phone case, also from Incipio, although not nearly as much of a fail as the first case is. This case is definitely much sturdier and much more protective than the other case is. In fact, Deputy Dad and I were walking down Main Street in Columbia two days ago enjoying the weather and I dropped my phone face-first on the sidewalk. Do you know what happened to my phone? Not a thing. There's a small scuff on the corner of the case, and that's it. The reason I just can't love this case is because of what happens where the light pink and the dark pink plastics meet right there on the bottom of the case. On both the left and right sides, it is incredibly sharp where the "soft" neoprene-like material stops and the "hard" plastic starts. The way I hold my phone, I naturally rest my pinkie finger at the bottom of my phone right there to help support some of the weight of the phone. I've got the 6S Plus, and the weight of the phone plus the weight of a larger protective case adds up. The case literally scratches my finger. I know it's a dumb thing to complain about, but there are times where it hurts! Of the two, I definitely prefer this one to the one above, but I'm still on the lookout for a different case. And there we have it. This months winners and losers! Is everyone excited for fall? We still have a month or two before the weather really starts to cool off here and I can start wearing cute fall outfits, but I'm still excited that it's coming. Oh, and Hurricane Hermine is coming, so there's that, too! Time to batten down the hatches! !